Why do I blog? In my previous blog post, I mentioned how I discovered blogging. I am a lover of beautiful words and new discoveries. I am such an avid fan of Bianca Gonzales’ blog. She was blogging way before her PBB stint and before she was a big celebrity that she is today. I like that she blog for the love of blogging – the sharing of informations and discoveries. Her early blog has no advertising ads, no guestbloggers, no giveaways or other propaganda to increase site traffic. She was just blogging because she wants to blog. She didn’t even pressured herself by updating her blog daily or every two days. Even with this carefree approach to blogging, she manage to influence a lot of people and won “The One” award in the 2012 Globe Tatt Awards for her strong influence through her blog. She is also busy as the editor-at-large at Meg Magazine and holds a Sunday lifestyle column, Ten Things You Should Know About at Philippine Star. Now that she is one of the recognisable names in the showbiz industry, she still have the same concept in her blogging. I admire that. 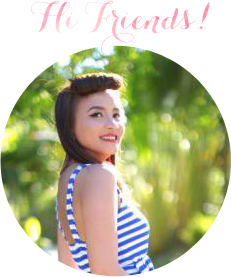 My blog is born through my admiration for Bianca Gonzales’ blog and my love for writing. Blogging is certainly popular nowadays. Besides, Bianca Gonzales’ blog, I have discovered other blogs I enjoy reading. And with popularity comes the advertisers and profit. It would be great to be doing what you love to do and earning from it too, right? Though I noticed that some of my favourite bloggers lost a bit of their personalities and signature charm after doing a lot of sponsored posts. I guess the trick to it is to strike a balance of doing sponsored post but still being you. But for those who wants to venture into making blogging as a source of livelihood, there are people who have succeeded. Look at Bryan Boy, Jenni Epperson, Cecile Van Straten, Gary Pepper and many more. It takes patience, handwork and time. They are amazing bloggers and earning a lot too! I saw this book that is perfect for those who plans to give up their job and do blogging full-time. Though I have to caution you to read it first before quitting your current job, ok? Grace Tan is a award-winning Singaporean business and lifestyle blogger who quit her job and is very successful in the blogosphere. 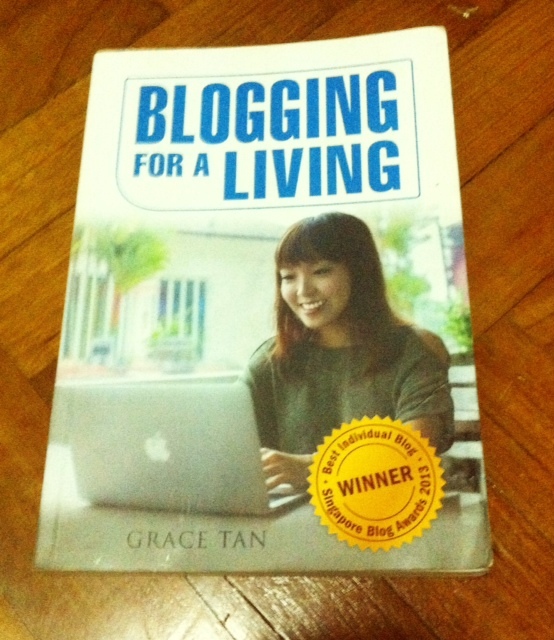 Grace Tan’s blog is called Working with Grace. It features interviews with famous individuals. In her book, she narrated her gutsy move of quitting her high-paying job to blog full time. She also have very practical tips and advices in making it asa successful blogger and earning well. She invited popular Singaporean bloggers to share tips and experiences as well. I would love to earn through blogging but right now, I don’t have the courage to do it full-time. I am still comfortable with the ‘no-pressure’ blogging. I just blog whenever I want to. I don’t get frazzled that my site traffic is not increasing or that my rank in the topblogs gone down on a certain day. Maybe someday I will put on my “this-means-business” mode when it comes to blogging. But of course still remembering to keep my own unique way of blogwriting without being too influenced by ads. That is why I admire Bianca Gonzales for keeping that kind of ‘no-pressure’ blogging mentality still. Anyways, to my blogger icon, Bianca Gonzales, congrats on the engagement with basketball player JC Intal.